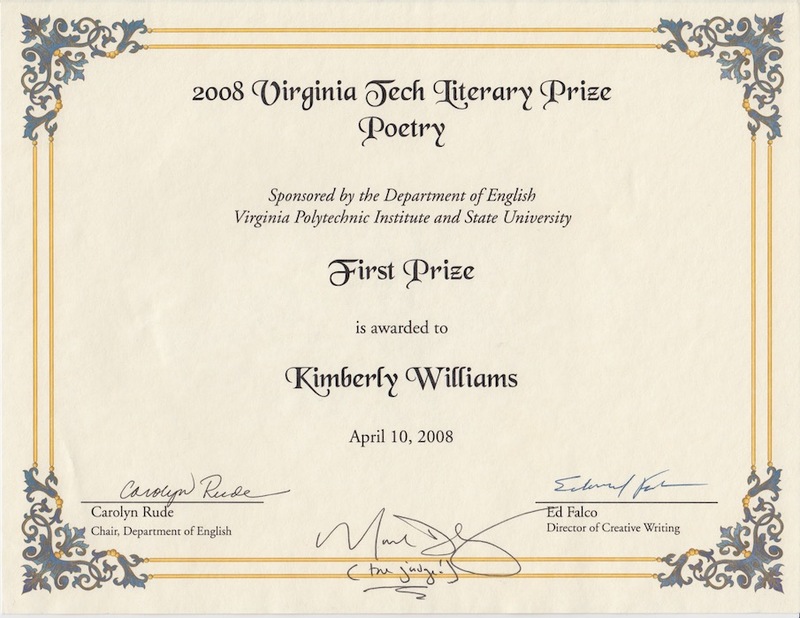 F or Kimberly Williams, Virginia Tech has filled many roles. 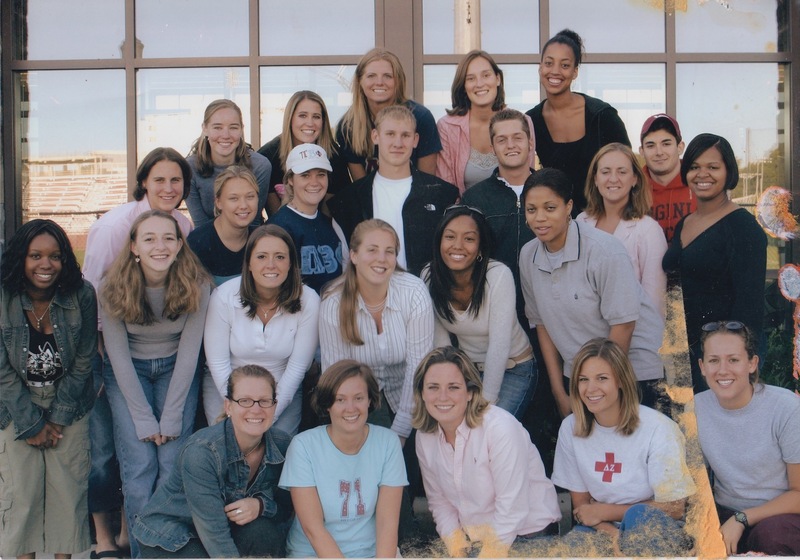 From 2002 to 2008 it was her university, and recently her place of employment – but it is, and has been, much more. A graduate of the class of 2008, she majored in psychology with sociology and creative writing minors. She went on to do home-based counseling, worked with the Radford Women’s Resource Center, and earned her M.F.A. degree at Cornell University where she taught courses on African-American Science Fiction and Feminist Memoir. Now, she serves as Assistant Director for the VT Black Cultural Center, focusing on its restoration. Virginia Tech was the springboard for Williams’s career. Today, she gives back to the community she calls home in hopes of providing others with the opportunities to follow their dreams – just like she did. Kimberly was raised in an Air Force family; she never stayed in one place for very long. While maintaining friendships was difficult, she was fortunate to visit different places and experience their cultures including Paris and Germany. Her family prioritized education highly; from a young age, Williams knew college was guaranteed in her future. She has loved for as long as she can remember and aspired to be a poet despite her parents’ reluctance towards the idea. Despite struggles in the classroom, Williams had several professors and mentors who stood out to her, namely Nikki Giovanni. The mentors she had helped to open her eyes to social justice and her own potential. One of her favorite memories from her undergraduate years at Tech is when she received the Women’s Coordinator of the Year for creating an international women’s organization after learning about issues in Sudan. Other fond memories include cooking for friends, enjoying dinner with mentors, and eating turkey legs at football games. 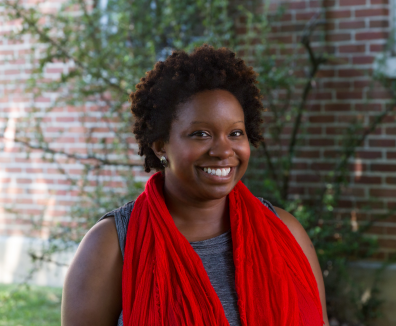 After graduation, Williams transitioned into a home based counseling job for a grueling seven and a half months before transferring to a job at the Radford’s Women’s Resource Center. Her counseling position taught her perseverance and patience with relationships; she had to navigate through racism and sexism in order to establish a beneficial rapport with her clients. She then decided to attend Cornell University for graduate school after helpful recommendations from Nikki Giovanni and others. From there, she dabbled in teaching English and working in administration at Hamilton College. It came full circle when she returned to Virginia Tech to work in diversity, working specifically with student advocacy, support, advising, mentoring, and faculty collaborations. While she recognizes that diversity and inclusion at Virginia Tech have a long way to go, she is happy to have the familiarity and community of the university once again. In the near future, Williams would like to see Tech offer development and support in queer studies, an infrastructure of diversity and inclusion, counseling staff, and fully funded programs for students to study abroad. She envisions incorporating arts into other areas of learning – turning STEM to STEAM. In her experience, if it were not for the support given by mentors and friends, Williams would not be where she is today. Now, she aims to be that same support for students who experience the same struggles she did. It is students that inspire her daily and motivate her to continue giving back. Experience Kimberly Williams’s full interview here!